Does your pool filter leak? Is your pool filter valve leaking water to the back wash pipe? We can rebuild your filter valve and make it function as good as new again for under half the price of a new one. Or we can replace it altogether if you one is too far gone. We also have a full range of spare parts available for all filters. If you have other issues not mentioned here simply give us a call and we will sort it out for you. 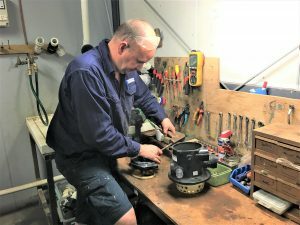 For multi port valve repairs, the quickest turnaround and most affordable option if you live in or near Brisbane, is to drop off at our workshop at 4 Flower Street, Woolloongabba, QLD 4102. For New Filter installations, please call to check if your suburb is within our service area. When we install a new filter, all the plumbing is taken care of, removing any confusion and hassle you may find in the process.